We are a leading Manufacturer of indigo powder, henna, rubia cordifolia, ratanjyot, beetroot and hibiscus from Lucknow, India. Indigo (Indigofera tinctoria) has been used as a natural hair dye for centuries. It is also known as black henna. Indigo powder is made by soaking, fermenting and then drying Indigo leaves. Indigo gives out blue colour, thus it is mostly used with Henna. Together Indigo and Henna can form vibrant burgundy to deep black. It covers grey and continuous use gives strong colour. For burgundy or light brown colour: Indigo powder should be added to pre soaked henna (10-12 hrs.) and then applied on hair. It should be kept on hair 2 hours and then washed with water. Together they give out vibrant and bright brown red colour. For deep brown or black colour: Hair should be treated with henna first. Pre soaked henna should be applied, kept for 3 hours and then washed with water. Mix Indigo powder with warm water and apply to hair for atleast 15 to 45 minutes and then wash with water. Golden brown: Henna and Indigo should be mixed together and applied to washed hair. It should be kept on hair for 30 minutes and then washed. 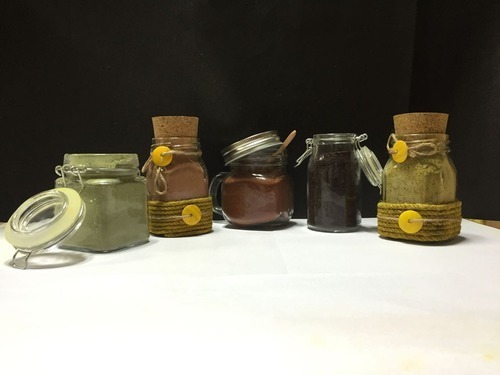 Packing: We offer Indigo powder in various sizes and variants. According to customer’s preferences, it can be mixed with other herbs. Indigo can be packed in pouches, jars of metal/glass/plastic in various shapes and sizes from 50 gms- 500 gms. Private labeling: We offer logo printed labels and customer’s desired packaging. We use automatic SS make milling machines, automatic SS filling machine lines and automatic SS make labeling machine, for innovative packaging. 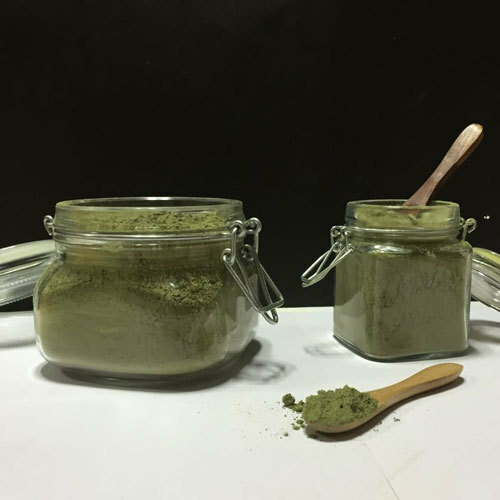 Henna powder is made by dried henna leaves. It has been used to colour and condition hair for centuries. By itself Henna provides a rich reddish brown tint to hair. Henna provides nourishment to scalp and makes hair shiny and soft. Henna is anti-fungal and anti microbial too which helps in getting rid of dandruff. Henna provides deep conditioning to hair and makes them soft. Henna makes cuticles smooth which gives great shine to hair. It also adds volume and body to hair. Henna nourishes scalp and helps in getting rid of dandruff. It gives cooling effect on scalp. For red, orange, reddish brown colour: Henna should be soaked at least 3-4 hours before use as it takes time to release natural dye. For best results, it should be soaked overnight and then applied to hair. Adding acid like lemon juice or yogurt will make colour more durable. For burgundy or light brown colour: Indigo powder should be added to pre soaked henna (10-12 hrs.) and then applied on hair. It should be kept on hair for 2 hours and then washed with water. Together they give out vibrant and bright brown red colours. For deep brown or black: Hair should be treated with henna first. Pre soaked henna should be applied, kept for 3 hours and then washed with water. Then indigo powder should be applied. 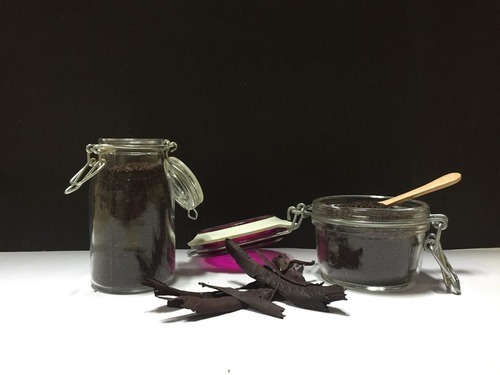 Soaking Henna in iron pot or adding tea/coffee decoction also makes Henna colour dark. Golden brown: Henna and Indigo should be mixed together and applied to washed hair. It should be kept on hair for 30 minutes and then washed. Coconut oil can be added to henna paste to make it more conditioning. Other herbs like Amla, Bhringrag, Hibiscus can be added to make Henna paste more nourishing. When used with mustard oil, Henna helps in preventing hair fall. 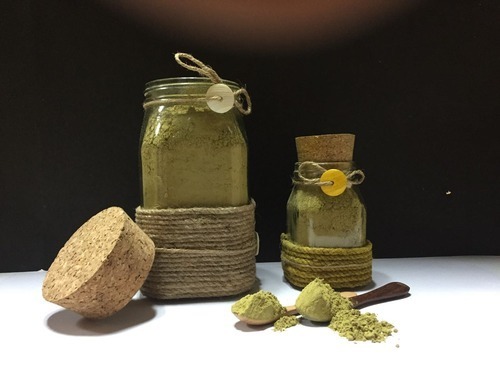 Packing: We offer Henna powder in various sizes and variants. According to customer’s preferences, it can be mixed with other herbs. Henna can be packed in pouches, jars of metal/glass/plastic in various shapes and sizes from 50 gms- 500gms. Private labelling: We offer logo printed labels and customer’s desired packaging. We use automatic SS make milling machines, automatic SS filling machine lines and automatic SS make labeling machine for innovative packaging. It enhances colour of henna in most natural way. Colour becomes stronger with richer hues. It nourishes and conditions hair too. Regular addition to henna makes hair shiny and smooth. It helps in treating scalp infections and dandruff. Rubia Cordifolia prevents hair fall and makes hair stronger. Suggested use: Add Rubia Cordifolia powder to Henna while soaking it. Apply it as per instructions. Packing: We offer Rubia Cordifolia powder in various sizes and variants. According to customer’s preferences, it can be mixed with other herbs. It can be packed in pouches, jars of metal/glass/plastic in various shapes and sizes from 50 gms- 500gms. 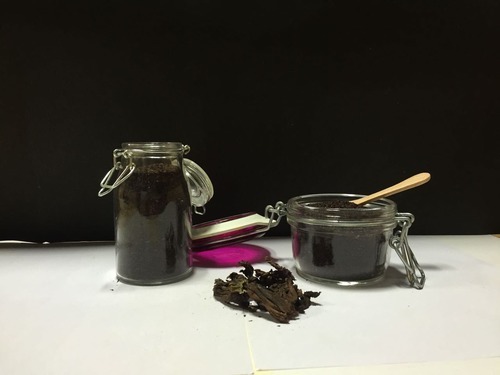 Ratajyot (Alkanna Tinctoria) is an importnt natural dye, commonly known as Alkanet root. Deep red colour can be extracted through roots of Ratanjyot plant. We offer dried roots which can be used for hair colouring. Ratanjyot roots not only colour hair, but nourish them too. Hair oils enriched with Ratajyot root prevent premature greying. Benefits: Ratanjyot adds deep red colour to hair.Ratanjyot is a natural hair conditioner. It makes hair soft and ailky.It prevents dry and damaged hair. Hair looks lustrous and feels strong. Ratanjyot prevents premature greying and maintains natural dark hair colour. Ratanjyot root powder should be mixed with hot water and then added to henna while soaking. Paste of Ratanjyot root powder can also be applied to hair but when added with Henna, it gives deeper colour. Ratanjyot roots can be added to coconut oil/mustard oil/blend. Oil should be heated on low temperature or put under hot sun. This will make oil deep red. Regular hair massage with this oil prevents premature graying. Ratanjyot roots can be added to hairpacks for conditioning benefits. Packing: We offer Ratanjyot powder in various sizes and variants. According to customer’s preferences, it can be mixed with other herbs. It can be packed in pouches and jars of metal/glass/plastic in various shapes and sizes from 50 gms- 500gms. Beetroot is full of betanins which are responsible for its deep red colour. It is used as a natural colour in food preparations and cosmetics. There are various ways beetroot can be used to colour hair. Regular use of beetroot on hair also makes hair stronger. We at Gingerly, offer dried beetroot powder which is prepared while ensuring maximum natural colour and benefits are preserved. It brighten natural hair colour while adding red tones to it. It deepens red colour of henna when added to it. If applied to blonde hair, Beetroot will colour them red. Beetroot nourishes hair and makes them shiny. Beetroot application provides relief in itchy scalp, dandruff and makes hair stronger. 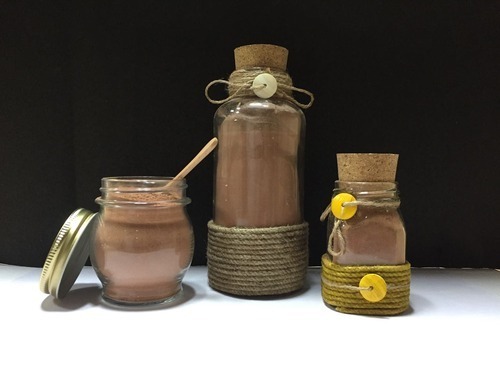 Packing: We offer Beetroot powder in various sizes and variants. According to customer’s preferences, it can be mixed with other herbs. It can be packed in pouches and jars of metal/glass/plastic in various shapes and sizes from 50 gms- 500gms. Private labelling: We offer logo printed labels and customer’s desired packaging. We use automatic SS make milling machines, automatic SS filling machine lines, automatic SS make labeling machine, automatic machine filled bottles for innovative packaging. Hibiscus plant has beautiful and vibrant red flowers which are extremely beneficial for hair. Dried hibiscus flowers give rich red tint to hair while conditioning them. If used with Henna, Hibiscus enhances the red-brown colour. Hibiscus promotes hair growth and nourishes them. Regular use of Hibiscus in hair colour results in lustrous hair with rich colour. Hibiscus provides red tones in natural hair colour. It is added to hair colour mixes as it conditions and nurtures hair while colouring them. Hibiscus prevents hair loss and helps in hair growth. It helps in removing dandruff and conditions scalp. Hibiscus strengthens hair and repairs damage. It makes dull hair glossy and smooth. Hibiscus adds incredible shine to hair. Regular use of hibiscus prevents premature greying. Suggested use: Hibiscus tea can be prepared by boiling dried Hibiscus flowers/powder in water. This tea should be applied on hair from root to tip and allowed to dry for atleast 30 minutes before wash.Hibiscus powder can be added to other natural colours like henna, ratanjyot etc. It deepens the colour and makes hair stronger. Fresh Hibiscus flower tea can also be applied to hair for colour. 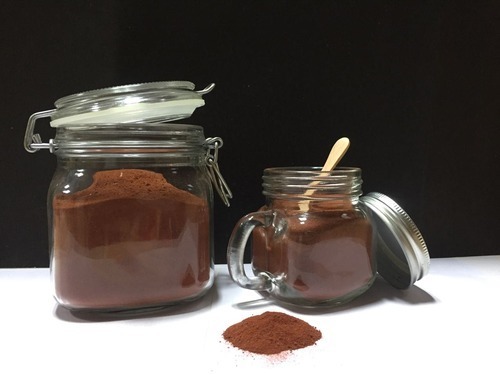 Packing: We offer Hibiscus powder in various sizes and variants. According to customer’s preferences, it can be mixed with other herbs. It can be packed in pouches and jars of metal/glass/plastic in various shapes and sizes from 50 gms- 500gms. 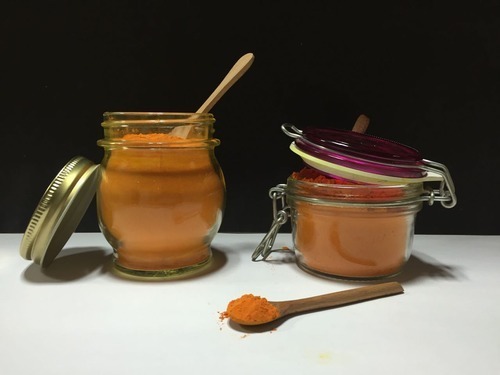 Turmeric is used as a natural dye for its rich golden colour. Turmeric adds great depth and vibrancy to blonde hair. It works great for adding yellow tint on grey or bleached hair. On darker hair, regular use to turmeric makes yellow tones of hair sharper. As it is a potent antiseptic and anti-fungal herb, it helps in getting rid of scalp problems too. Continuous use of Turmeric makes hair dandruff free and prevents hair loss. Turmeric adds yellow tone to natural hair colour. As it is a potent antiseptic and anti-fungal herb, it helps in getting rid of scalp problems. Continuous use of Turmeric makes hair dandruff free and prevents hair loss. Turmeric tea can be prepared by boiling dried turmeric root powder in water. This tea should applied on hair from root to tip and allowed to work to atleast 30 minutes before wash.
Turmeric powder can be used with natural bleaching herbs like chamomile, calendula, lemon etc. for great effect. Fresh turmeric juice can also be applied to hair. Packing: We offer Turmeric powder in various sizes and variants. According to customer’s preferences, it can be mixed with other herbs. It can be packed in pouches, jars of metal/glass/plastic in various shapes and sizes from 50 gms- 500gms. We at Gingerly understand the need for safe, non toxic and natural colour with best quality ingredients. Our hair colours are finely milled, triple refined and free from any impurities. No harsh chemicals or preservatives are added. Our products are easy to apply with clear instructions and accessories. We offer uniquely designed blends for different hair colour. Our blends can be customized according to customer’s preferences.